Cable throttles were swapped out for electronic engine controls to make confined space handling even smoother. Both engines serviced in Jan 2017. The interior is excellent as one would expect for a boat used just 120 hours! This boat is in very good condition with only two careful owners. She has been very lightly used. The boat is loaded with every possible extra that one could put on a boat of this size such as a generator, hydraulic pasarelle, electronic engine controls and air conditioning. 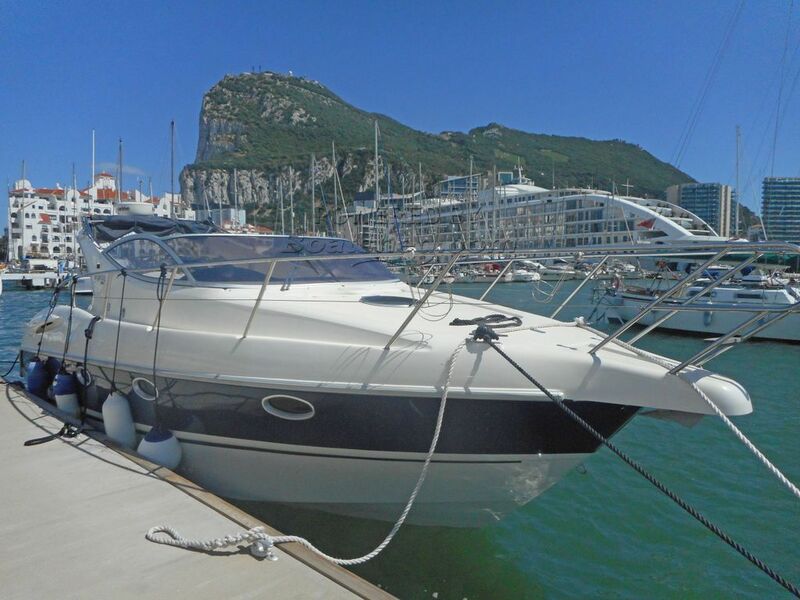 This Atlantis 315 Sport Cruiser has been personally photographed and viewed by John & Lynda of Boatshed Gibraltar. Click here for contact details.